Discover our riding, horse-assisted learning, after-school and summer programs. Make a meaningful gift today. Support our participants, ponies and programs. Be a part of our community. Help out in individual lessons, school groups or farm crew. As a 501(c)(3) nonprofit, Pony Power Therapies relies on the support of our community to use horses to help people. 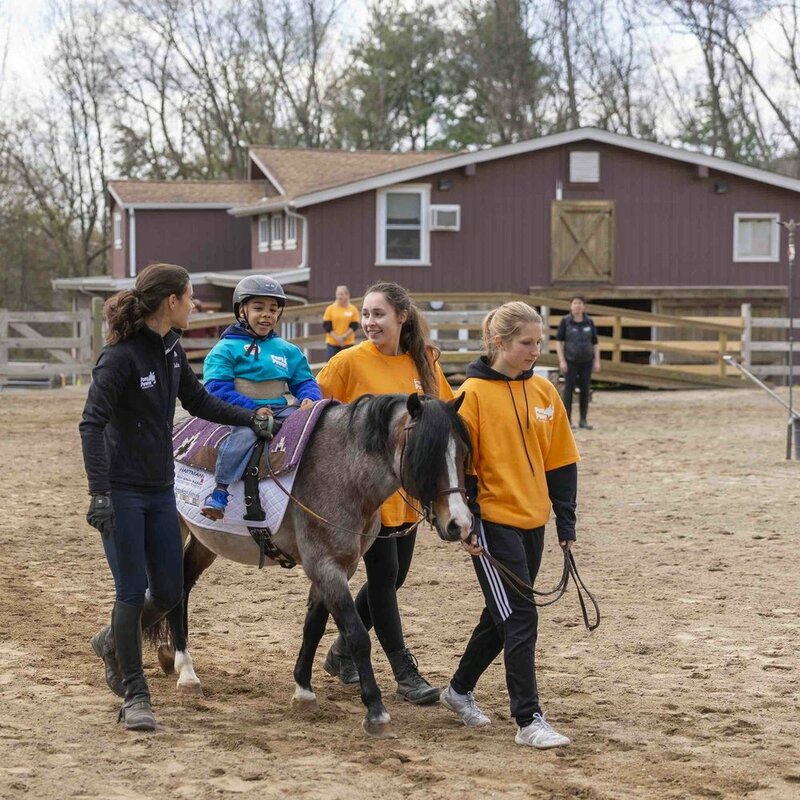 Donations support participant programs, volunteer programs, the care of our hard-working herd of ponies and horses, the care of our small animals, and the care of our farm and environment. We are proud that our fees have remained the same for almost 10 years, but they only cover approximately 65 percent of the actual cost of providing our riding and non-riding activities. The support of our community helps bridge the gap between the fees we charge and the actual costs to run program, thus helping to keep it affordable for our participant families.